when taken from a moving vehicle, some older digital cameras had this effect. It's because the camera was moving while the image was being stored. Brackfas is the most important meal of the day. Don't be a wuss. This guy looks legit. Not a photoshop. That's simply a digital error in the photo you caveman. 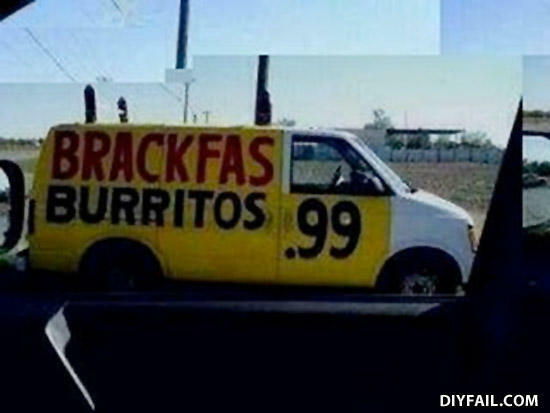 A candy van for Mexicans?